Even advanced advertisers have questions about the details of keywords and match types. Contributor Matt Lawson of Google provides answers. Broad, modified broad, phrase, exact. Keywords and their match types are a foundational part of AdWords, but there are still some finer points of match type management that remain up for debate even amongst advanced practitioners. In that spirit, I worked with the product manager for keyword match types in AdWords and got some of your biggest questions answered. These questions came from conferences, chats with account managers, online forums, and scraps of paper I had on my desk whose origins are lost to the sands of time. They’re basically the questions I’ve heard from the people who seem to know everything there is to know about AdWords. 1. Should I use phrase match, or was that made irrelevant by modified broad match? Both of these match types are great for multi-word keywords. The difference is all about whether or not the order of those words in your keyword matters. In most cases, order doesn’t matter, and in those cases you’ll probably be just fine with modified broad. An example of a rare case where order matters would be someone who advertises a brand of car speakers called RoadThunder. They would definitely want to appear for any searches that include the words “road thunder” in that order. But +road +thunder might serve a different set of users whose searches, boss as they might be, might not be looking for speakers for their car. You know your keyword set, and you know if there’s potential for ambiguities if the order of words changes. Use phrase if there’s a potential for mixups, but modified broad works if your order isn’t going to change the intent of someone’s search. 2. Are there “noise” words that don’t need to be present in a query for your modified broad match keywords to serve? In this case people are wondering about words like “of” or “the” that could be seen as optional in a user’s search. If +in is part of your modified broad keyword, does the word “in” need to appear in a user’s query? Yes. If you use “+” before any words then those words have to be present in the query. We don’t treat any words as optional in modified broad, so avoid putting “+” in front of words that don’t contribute to or change the meaning of a user’s search. Save “+” for the terms you really care about. I know I wasn’t searching for “the hunger games temporary tattoos” leading up to last month’s release (just “hunger games temporary tattoos” while I was in my tent in front of the theater). So I’d be sure that my keyword was +hunger +games +temporary +tattoo, and I’d be sure that I didn’t include +the in my keyword. Be careful when you’re building out those modified broad keyword lists. 3. Why can’t I see what’s reflected in the “Other search terms” line item in Search terms reports? When you’re digging through your search terms report you have no doubt seen the “Other search terms” line at the bottom that aggregates everything else that’s matched to your keywords. That first bullet is often the most important. When you look at your search terms, plan on excluding today and yesterday from your date range. If that becomes your standard operating procedure, you’ll see far fewer impressions in that Other search terms row. Beyond time constraints, if certain terms weren’t searched by a critical mass of people we aren’t going to reveal that query. We protect that information to reduce the probability of sharing any personally identifiable information. You will be able to see high impression/no click queries, but you won’t be able to see low impression/no click queries. The good news is that if someone clicked your ad, you should be able to see that query (as long as enough time has passed as I mentioned above). The bad news is that you won’t be able to view all of the queries that received an impression. However, those searches without clicks weren’t repeated with any regularity, and you also weren’t charged for them. You can be confident that the data that appears is the type of stuff that can have a substantial effect on your account. 4. How are close variants handled across different languages (where different articles may change the meaning of a user’s search)? 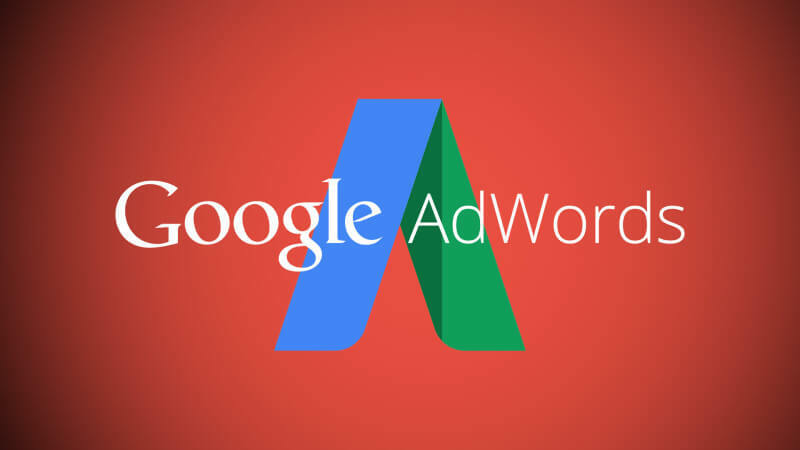 We have matching behavior that’s tailored to each of the languages we offer within AdWords. This includes monitoring close variations of keywords to do our best to remove any queries that aren’t a good match for the intent of your keywords. Just because something qualifies as a close variant, like a misspelling or stemming, doesn’t mean that the system is going to treat it like a close variant. We use a bunch of quality signals to filter out close variants that change the entire meaning of a query – and we do that for all of our languages. No matter what language you’re targeting, report any bad matches of your keyword to a query to your sales rep (or even drop them in the comments here). We investigate all of the reported bad matches and fix anything that doesn’t make sense. Our team works really hard to make sure that close keyword variations are relevant for your business. 5. Did matching behavior change for negative keywords during September’s update to phrase and exact match types? Nope. A negative keyword doesn’t expand to cover close variations – it only covers that specific term. This should come in handy in case you run across any close variations that aren’t performing for you. You can remove the traffic that isn’t proving valuable while still getting good coverage. 6. I know how the system matches different keywords to queries. But why are there still instances where my less-specific keyword receives impressions on a query, at times even with a lower bid? The most common reason a less specific keyword would get triggered is when there’s a cheaper keyword that also has a higher Ad Rank. It may seem like something is going wrong when a phrase match version of the same keyword is receiving impressions when the exact match keyword has a higher bid, but that can happen as a result of the dynamic nature of the auction. That phrase match keyword could have been matched up with a great ad while the exact match keyword could have been matched to a worse performing ad. So you’re still going to get the traffic that you want, and you’re actually going to get it at a cheaper price. I hope you guys learned something new about our beloved keyword match types today. I know that there might be more questions about them, so please ask any questions you may have in the comments section below. If there are enough of them we can do another Q&A post in the future.